Shopping can be fun but also harrowing, especially in electronics or shoe stores. You can't find help or can't figure out if a specific product is in stock. In the future, the shopping experience should be much better thanks to technology. The store will recognize you, dig into your shopping habits, and guide you in the right direction. If your favorite product is in the store, retailers will make sure you know through messaging. That Minority Report-type technology is still many years away but will be possible with the magic of sensors, cameras, and data analytics. But some retailers have an early start: Some furniture stores are already using virtual reality so buyers can preview how furniture will look in a room. Poking into your shopping habits and recognizing your face may sound too invasive, but retailers are trying to make the shopping experience better. It starts with products like Intel's Responsive Retail Platform, which can track store inventory and respond to customer needs in real time. RRP, announced on Monday, includes hardware and software that could take control of inventory and pass on real-time alerts to sales associates and customers in the store about what's in stock. For example, if you're shopping for jeans, RRP could tell you if a particular size is available so you don't have to shuffle through a stack. Or if you are trying on jeans, you could request a size to be delivered to the fitting room. RRP includes a range of sensors and a mini desktop-like gateway box with an Intel x86 chip. The sensors, for example, can read RFID tags for real-time inventory checks, with the gateway providing the computing muscle. A large store may need a number of RRP boxes sitting on walls to keep a track of many products in real time. Also packaged with RRP are cloud services for analytics. Levi Strauss will use RRP to read tags to monitor inventory and issue an alert if jeans are left in dressing rooms or if shelves need to be restocked. The system will also map in-store traffic so the company can analyze what products are selling. The technology will be one piece of an effort to improve logistics at Levi Strauss stores. The new system is potentially the start of a way for Levi Strauss to make shopping a lot easier at their stores. On entering the store, repeat buyers could be instantly redirected to their jeans of choice, and they may be able to try on jeans through a virtual reality headset. There are many internet-of-things technologies being used to improve logistics at stores. Revel Systems provides technologies for collection and analysis of real-time store or restaurant intelligence at iPad point-of-sale systems. The Revel technology also helps in registering orders and billing. For restaurants, analytics helps figure out key operational details like how much food to buy on a given day. Home appliance store Pirch is experimenting with numerous technology to improve the buying experience in its large stores. Salespeople at its Manhattan store carry Surface tablets for inventory, billing, and helping customers find the best product. The store is also looking at virtual reality to help customers visualize rooms and kitchens with specific products. Intel is establishing a fund of US$100 million for retail technology development. Intel will invest in companies developing compelling technologies for use in stores. The company established a similar $100 million fund for the development of automotive technologies. 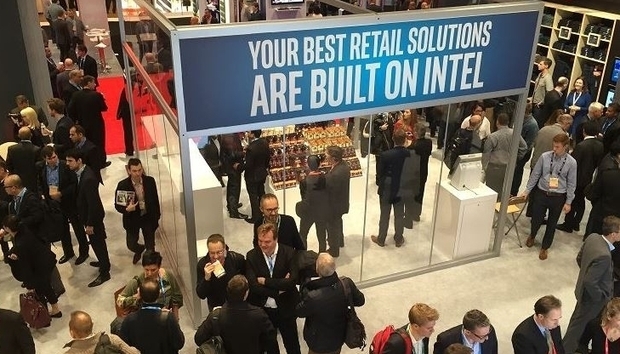 The fund and RRP were announced at the National Retail Federation show being held in New York, where Intel CEO Brian Krzanich is expected to give a speech. Intel will also have pop-up environments demonstrating cool shopping experiences based on its technologies.